Elsewhere in this blog, I’ve contended that woodworking isn’t quick, easy, or perfect every time, and false promises of such delights by some tool advertising and sources of instruction can discourage those learning the craft, who eventually encounter the truth but wonder if the difficulties are their fault. Moreover, perfection is an illusory pursuit that can lead to discouragement and loss of nerve, and is better replaced by a knowledgeable pursuit of excellence. Yet, I think most anyone with strong dedication, good tools, proper instruction, and decent manual dexterity can develop the individual skills needed for excellent woodworking. So, what makes woodworking difficult? Why is it pretty hard to learn how to make a project turn out the way you hope? What is the missing link that takes you from learning how to cut a mortise and tenon joint to being able to confidently make a table? In other words, what is the most essential thing to learn in woodworking? I think it is this: putting it all together. This means being cognizant of the context of each step of the process, so that as steel meets wood, you understand what you’re really doing and why. You must appreciate how the skill being executed at the moment fits into the whole construction. That appreciation informs your approach to the task at hand. For example, when you flatten the stock for casework, you are aware of why it needs to be flat, the range of flatness tolerance required, and the consequences of sloppiness outside of tolerance. You know when to bear down for high precision but also when punctiliousness is, at best, a waste of energy. So, you have a different mentality when preparing stock for drawer sides compared to drawer bottoms. Here are more examples. You sense how to make that mortise and tenon joint accurate not just for itself but also for how it will contribute to the accuracy of the whole table coming together. You have this sense even when you are marking out (photo above). In the design process, you appreciate how individual elements have to coordinate into an aesthetic whole that you are also capable of building. And you understand how “perfect every time” is silly. Of course, you cannot have all the steps of a project top of mind at once. However, with experience (and for most of us, that means sometimes dealing with failure) you learn to absorb the big picture. It shapes a correct mental approach that you carry with you. With this awareness, your work becomes natural and flowing. The cognizant mentality is not at all burdensome but rather is energizing because you know how to value each step in the journey. Good musicians know this. Playing notes, even if technically excellent, is one thing; making music quite another. The impact, presence, and style of the whole piece inform the treatment of each passage. I suppose being good at anything is like this, but with woodworking it is right there in front of us. 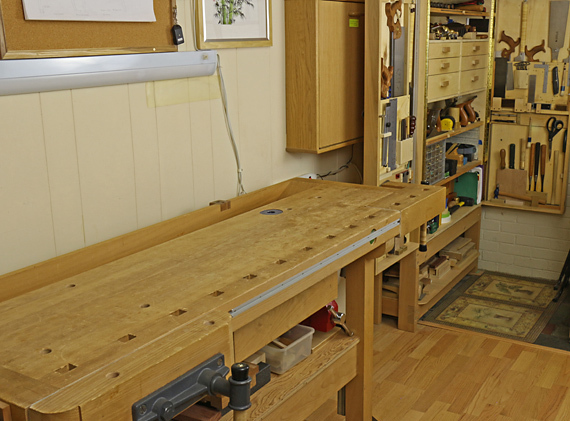 As I have said all along, Heartwood is about real-deal woodworking “from the sawdust and shavings of my shop.” The primary reason I write is, quite simply, that I want to share with you the joy of woodworking – the “quiet joy,” in Krenov’s words. I want to help empower you to build things. The great majority of the posts deal with technical matters of tools, techniques, wood, jigs, and shop fixtures, but there are also explorations into the bigger picture of why we work wood, and the meaning the craft holds for us. I do not waste readers’ time with stuff for which they did not likely visit, such as contentious politics or accounts of a leak in my car’s radiator. I have tried to keep the writing engaging, fluid, and respectful of my readers, for whom I am most grateful. I admit to being frustrated with the dearth of comments. Please, say hello once in a while if you are even slightly inclined. 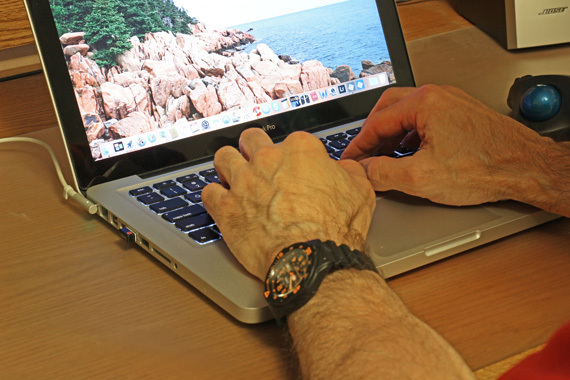 The interaction generated by your comments and ideas is fun for all of us. I also enjoy the many woodworking questions that I receive from around the world. I want to help you work wood. 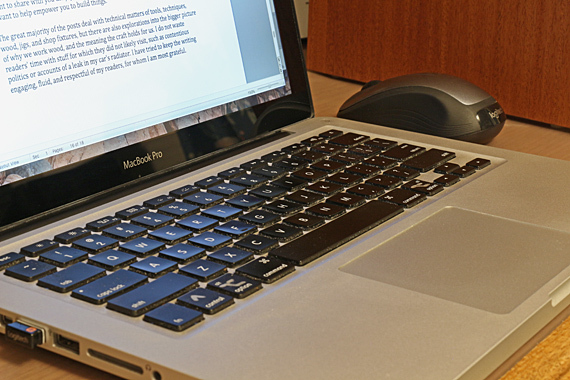 The golden age of interest-focused blogging has long past, largely due, I think, to the dominance of social media, photo posting sites, and the explosion in video content engendered by broadband Internet. There is plenty of useful content out there, particularly videos, but much of it is idle junk. In any case, I think there is still unique value in writing. So, will all of that, where do I go from here with this blog? Well, for now I am continuing. I have lots more to say, but this takes considerable time and effort, and I certainly want to maintain quality. I’ve even thought of adding short videos, but who knows. I’ll take it one month at a time. Most all, thanks for reading! 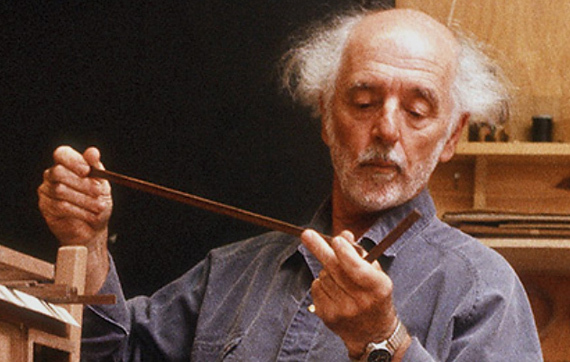 Groundbreaking furniture artist and craftsman Wendell Castle passed away last month at 85. Woodworkers are probably most familiar with his stacked-laminated wooden tables and chairs, but whether working in plastic, bronze, or wood, his immense design vocabulary produced so much for us to explore. I do not possess design talent anywhere close to the same universe that this man had, and only some of his work actually appeals to me. The late Sam Maloof’s description of himself as a “woodworker” resonates with me more. Nonetheless, I find Castle’s outlook inspiring. Wow. That says so much. Creative design is not easy, nor should it be. It is not about making something new and different for the sake of “different,” but rather it is trying hard to get out what you want to say and what you want to make – what you really, very much want to be there. This is true even for those of us who are more in tune with the subtle grace of James Krenov’s work than the bold statements of Castle’s work. Moreover, Castle’s thought is reassuring. If a design that seemed promising, and has even gone on to be refined and built, did not quite hit the mark I hoped for, I can take heart knowing that much has been gained in the attempt. The work and inspiration of Wendell Castle will live long and wide. The passing of Pat Warner, July 28, 2017, should not go without tribute. 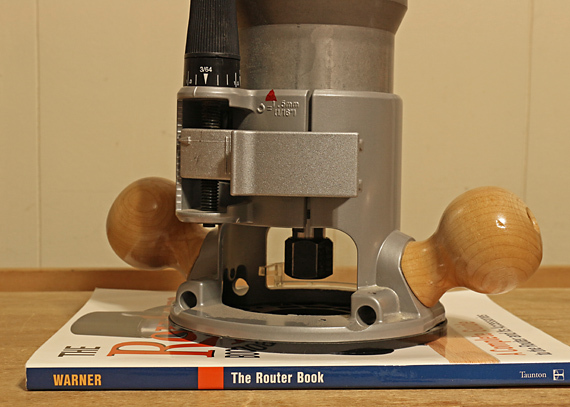 His contributions to the techniques of woodworking is among the finest of our time based on his unsurpassed knowledge of the use of one of our most versatile woodworking tools, the router. He was truly an expert’s expert. Especially remarkable were his profound insights into the precision tolerances involved in tooling and work processes, as well as his ability to manage them in the shop. 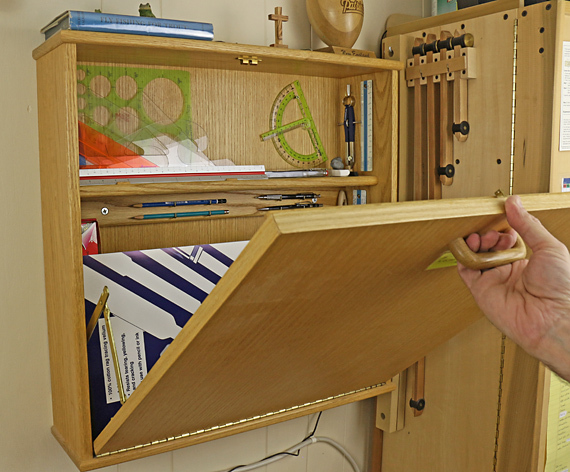 His hands-on inventiveness produced an impressive array of precision tools and jigs. His writings, full of intelligence and clarity, include four books, numerous articles, and the resources on his website. I never met the man but his generosity and kindness were evident in the assistance he provided to me by phone. There was no doubt I was taking in the advice of a rare master craftsman. For countless woodworkers, our approach to not only the use of the router, but to small-shop machine woodworking in general, owes greatly to Pat Warner. Uh oh, I was just thinkin’ again. Yes, yes already, I understand the merits of hand tool woodworking (read here). Yet, we must acknowledge that pure hand tool woodworking is almost non-existent. Rather, we just have different points at which we decide that the work is best done, for whatever reasons, by putting aside machines and taking over with hand tools. For some, that point is after the wood leaves the sawmill; for others it is when the final chamfers are added. Really, there is a spectrum of approaches to woodworking that gives all woodworkers a great deal in common: we build stuff. Router spindle locks are a ridiculous idea. Two opposing wrenches produce more torque with more comfort and safety. Some routers with spindle locks also have flats on the spindle on which you can use a second wrench in conjunction with the one for the collet nut. Manufacturers, including the one that makes yellow tools, please, stop the madness. I’m pretty sure that you have a project in mind that is coming from your soul. It will challenge you, and give you great joy. Please, please, build that as soon as you can. And stop making another box for your chisels, or whatever. If someone was to ask me for suggestions for getting a set of sharpening equipment from scratch, I now think I would be remiss by not recommending diamond stones for the bulk of the work. Add a CBN grinding wheel to speed the grunt work, finish off with a very fine ceramic finish stone, and you are very good to go. Anyone of any demographic group, including women, is welcome by me, and, I believe, by the overwhelming majority of woodworkers, to come aboard and work wood. Those currently in the minority should not be discouraged by the very few fools who will only accept the historically typical demographics of woodworkers, nor by the reactions of others that are not ill-intended but come simply from not having updated one’s habits. Moreover, those currently in the minority do not need special enclaves for those in their category. Neither is coddling needed; just welcoming. Just work wood! You and the world await what you build. Now go ahead, tell me that it’s not that simple. OK, perhaps not, but I do think it does ultimately come down to just that. Having had the Domino joiner for nine years now, my trust in the system has gone down, not up. Sorry Festool enthusiasts, the same goes for Festool in general. Until you understand the following rule, to which I can think of no exception, you will not fully comprehend shop safety with power or hand tools. A tool edge, given the opportunity, will always move the work piece (or part of it) instead of cutting it. As examples, that is the essence of kickback on a table saw, and a drill bit or router bit grabbing the workpiece. The edge needs to be sharp, yes, but its mechanical options must be limited by the tool design, your setups, and your actions. Believe it or not, if you need some decent red oak, maple, poplar, and even walnut, and are buying a small enough quantity so that a higher unit price doesn’t hurt too much, the Home Depot is a pretty good, convenient option. And they have no idea that the random curly board that you might find is a great buy. Creative work is ultimately an exercise of free will to make something – a unique information set – that transcends oneself. Where does that free will come from, if not a gift from God? Perfection. We might think we want it in our woodworking, yet it does not exist. But for the craftsperson, concern with perfection, far from being a benign wish, has a dark side – it can distract you from understanding excellence. Consider the example of a simple straight line, such as the straight edge on a board. You may think you are at least trying to plane that edge “perfectly” straight. Upon inevitably failing, you say, “OK, I’ll try again,” this time harder and more carefully. But where is the end point? It certainly is not perfection. You have failed in that pursuit, and you always will. The perfect becomes the enemy of even the good as hesitancy, frustration, or obsessiveness creep in. Continuing this way will retard your growth in the craft. There is a better way. It is to understand and pursue excellence. There is a range of excellence, and you ought to recognize when you achieving within it. It is also important to accept when you have fallen short – of excellence, not perfection – and then take realistic corrective action. So, that straight edge is not, in fact, ever perfectly straight but instead has a trace of concavity along its length because you know any convexity would result, for example, in an inferior edge joint. Excellence in this case is understanding an appropriate range of camber, and being able to reliably produce and assess it. The same principle can be applied to nearly every critical process in woodworking. One of the worst manifestations of the perfection delusion is the “perfect every time” come-on used by tool marketers and, particularly regrettably, in some instructional materials. A woodworker who then inevitably achieves something less than perfect is apt to incorrectly suppose that he did something wrong, or doubt his capability. Awaiting perfection, your work is never finished, or maybe never again attempted. Better to work toward excellence. Certainly, distinguish it from mediocre. That is the realistic and hard work required in the real world of craft. I was asked not long ago by a major software development company, whose product line includes architectural and design software, to consult on an exciting project that is now in the latter stages of development. Of course, I cannot name the company, which I will call “G, Inc.” (No, not them). However, I do not need to hide my excitement – this has the potential to change how we approach our woodworking. It is a furniture genome project of sorts. G, Inc. has compiled an enormous data bank of the elements of style of countless pieces of furniture. This includes proportions, motifs, woods, hardware, characteristic curves, secondary materials, joinery, carvings, and much more. I worked with two G, Inc. project leaders, an architect and a programmer, who explained that the data is drawn from sophisticated visually mapped analyses of furniture from numerous sources. The data exists as visual files with verbal tags such as “cabriole legs,” or “hand-hammered hardware,” and so forth. There are also broader categorizations such as “few curves,” or “carvings,” and so forth. Here is how you interact with the software. Again, I think this is really exciting. You start with a piece of furniture that you want to make such as a “tea table,” or, simply, a “small table.” Then, to move quickly in narrowing your preferences, you enter a style category such as American Queen Anne c. 1740, Arts and Crafts, or Nakashima. But here is the really cool part. If you lack any appreciation for style, you can sift through displays of furniture elements, accepting those that appeal to you and rejecting those that do not. You do not have to conjure anything of your own. The software detects your style tendencies and through the magic of Artificial Intelligence decides what you really like. In short order, you will have your table design. All that remains is to build it. And even for building, it coaches you through everything. You set a slider scale for joinery ranging from strictly traditional (e.g. mortise and tenon joints) to anything-goes modern, which might include pocket screws, for example. The result is a 3D CAD rendition of the table, plan and elevation drawings, and full-scale drawings of the joinery and details. The developers are giddy that you will not have to use your imagination at all. After all, your job is to follow the Masters and this program makes it pleasantly easy to do just that. This way, you can be assured that you will spend your efforts making only real furniture – the tried-and-true good stuff. There is no need to work through your own ideas, which are probably inferior anyway. As with all software, this currently contains a glitch, which is that it only seems to be operative on one calendar day of the year. Who is learning? Who is a student of woodworking? All of us, I contend, are, or at least should be, and almost always. 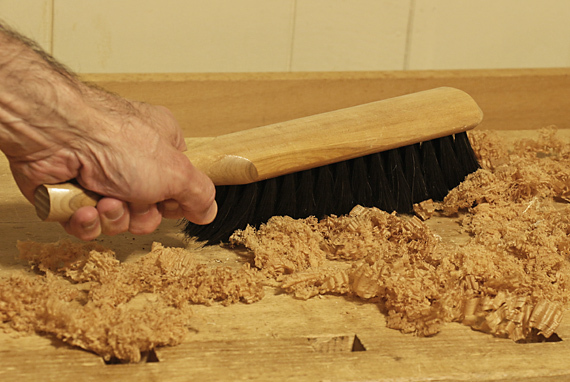 Now, the healthy innocence of a student, not to be confused with a lack of confidence, is apparent when you start learning a new fundamental skill, such as paring with a long paring chisel. The same is true when you apply solid basic skills to a completely new task, such as using your layout, sawing, and chiseling skills to execute unfamiliar joinery, such as a multiple mortise and tenon. However, the presence of a learning situation is not so apparent at other times. An example, might be when you use a skill set that you have long mastered, such as cutting a through dovetail joint, in a different circumstance. You are very good at making that joint but this time the wood is different, a bit harder perhaps, and your customary slope ratio creates problems. You discover that you must also adjust your tolerances, tooling, and expectations. Thus, this too is a learning situation but you may not recognize it as such. You are, in effect, overconfident. Worse, you are mentally closed but you should be open. I believe that an absolute requirement for learning is to first recognize and accept that I do not, right now, know. Experience and previous successes must not obscure this. To learn – and learn, we must – we have to see the door, open the door, and walk through it. The most crucial impediment to learning woodworking skills that I have observed when advising woodworkers is the use of cheap, inappropriate, or poorly prepared tools. 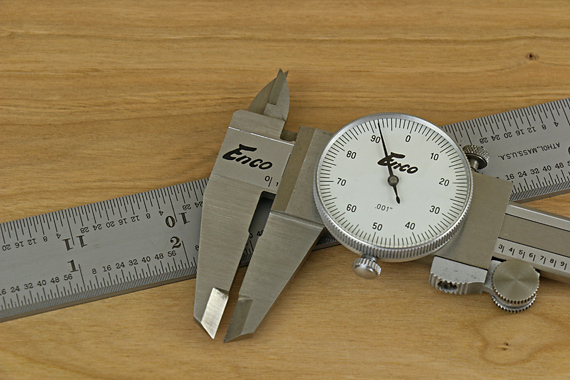 It is amazing how often student woodworkers – and this really includes all of us to varying degrees – are baffled by poor results from bad tools. Worse yet, the worker blames himself. Sure, you can saw a tenon with a home center backsaw meant for rough carpentry – “just practicing,” you say – but not well and not reliably. What’s more, you will restrict learning the skill. 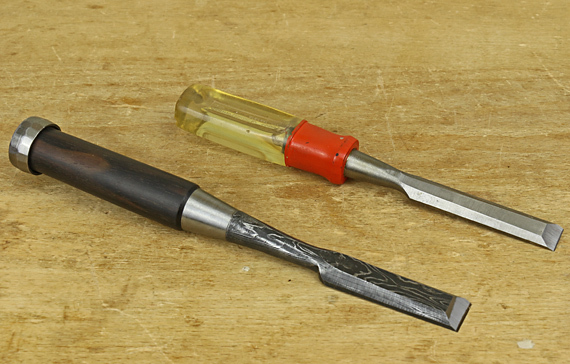 You can also make that hardware-store chisel, shown above, fairly sharp and chop dovetails with it, but the edge will not last long, so you almost certainly will end up doing much of the work when it is dull or chipped. More subtly, you will not appreciate the final paring cuts that produce an excellent fit because you just cannot do them with control. Though a skilled worker might get by with modest tools that are artfully modified, there are thresholds in the quality and fitness of a tool below which good work becomes nearly impossible. Here is what to do, and it’s simple. Obtain tools that are appropriate to the task, and properly prepare, tune, and maintain them. Get a few very good tools – core tools – start woodworking, and then gradually get additional very good tools. This will impose some limitations on the projects that you attempt, at least for a while, but that is better than attempting more ambitious projects with inadequate tools that lead to discouraging results, hampered learning, and worst of all, blaming yourself. Remember, an excellent general use tool will perform better at a wide range of tasks than multiple, more specific but mediocre tools. If you do take the wrong road and slog on with lousy tools, then that will be your fault.